Michelle Wolf is generally funny. We’ve written about that before. 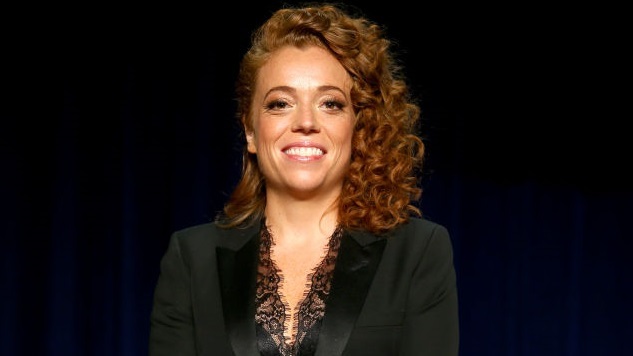 Tonight she hosted the White House Correspondents’ Dinner, an utterly unnecessary event where journalists fake laugh about how terrible they are at their jobs, and, well, she certainly did her job. The cable news pundits and social media hacks are up in arms about how offensive and vulgar she was, but, like, she’s talking about Donald Trump. Vulgarity comes with the territory. We don’t recommend watching the video if you aren’t already familiar with Wolf—her material’s nowhere near the level of her stand-up, making this a less than ideal introduction—but if you enjoy seeing the media chastised for gleefully making money off the terrible reality show president they all helped elect, you might get a bit of grim pleasure from her remarks tonight. Check out the whole thing below and make up your own mind about it.